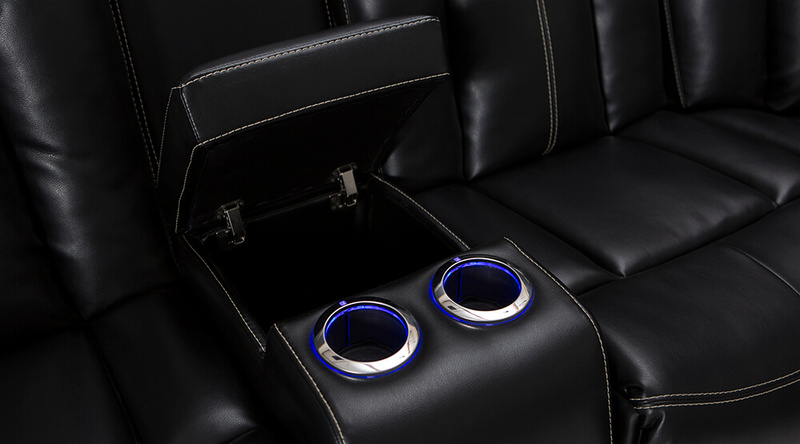 Center storage console opens up to reveal ample storage space and lighted cupholders that illuminate your drink in the dark. 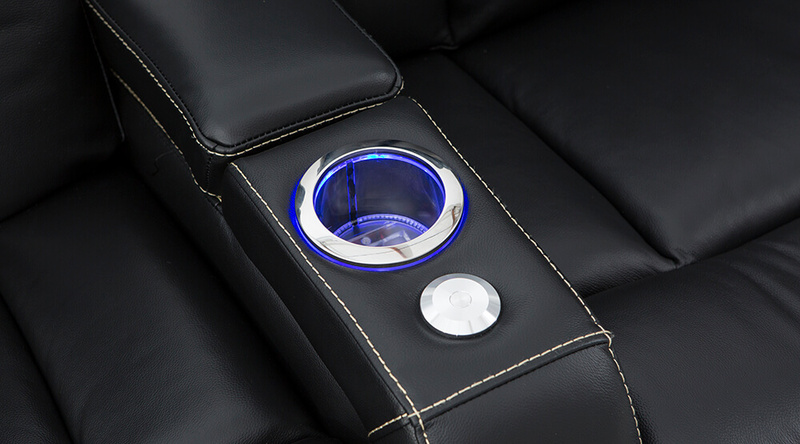 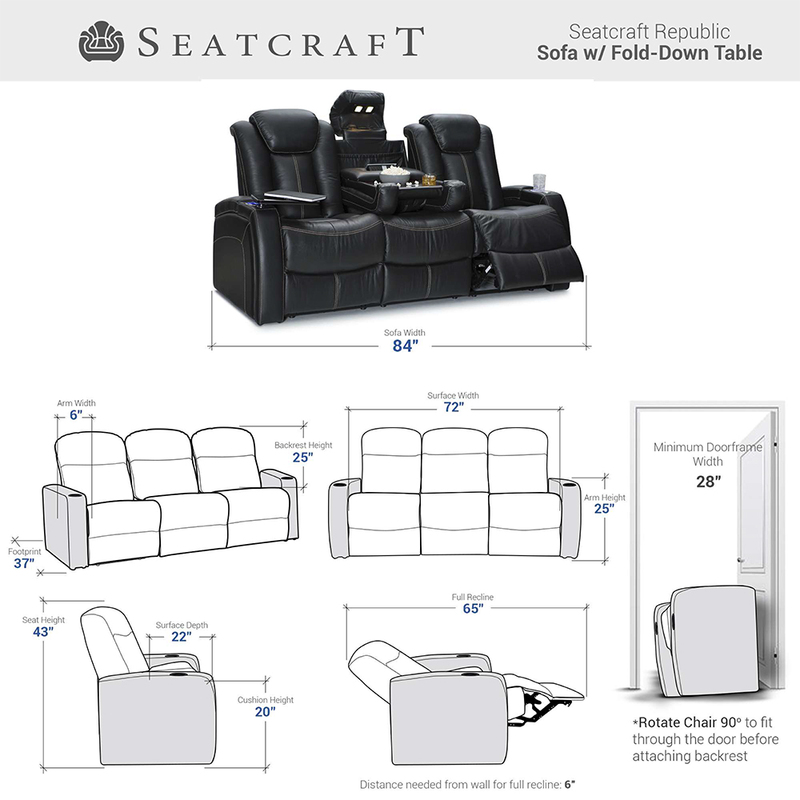 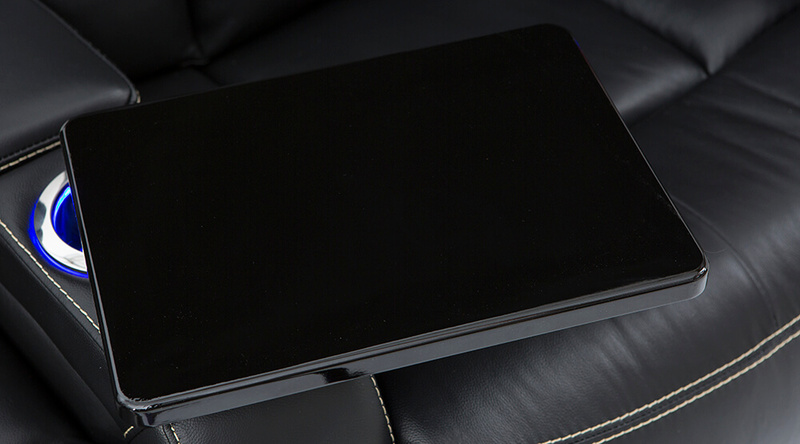 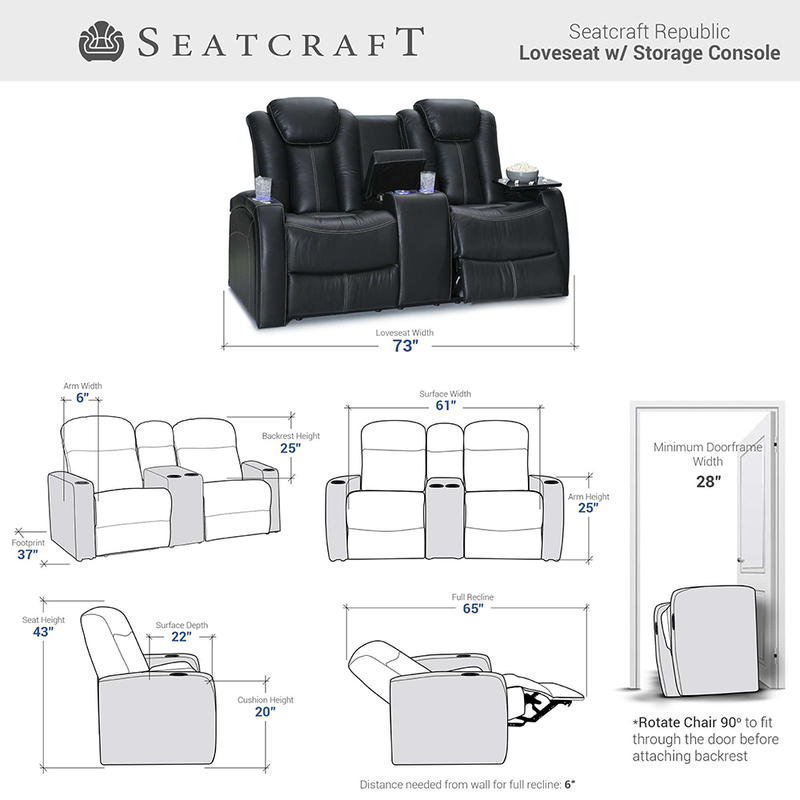 The Republic center backrest folds down to reveal a polished table with two cupholders and a USB/AC Charging panel that further extends the devices you can enjoy keeping at arms length. 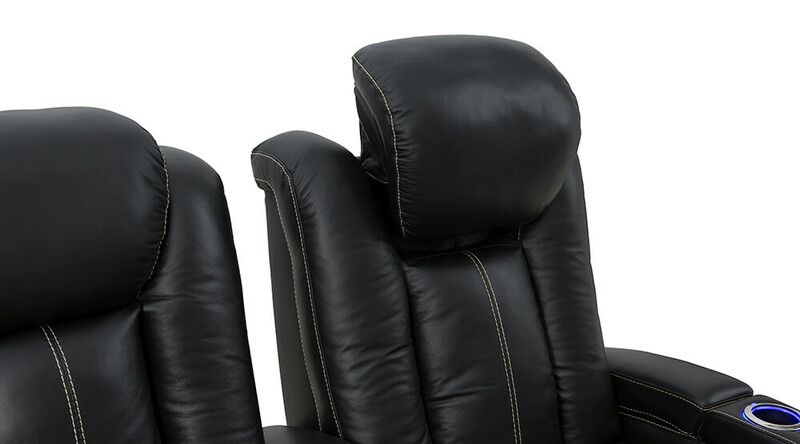 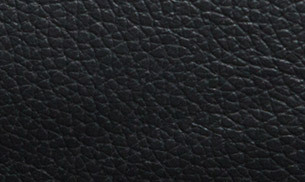 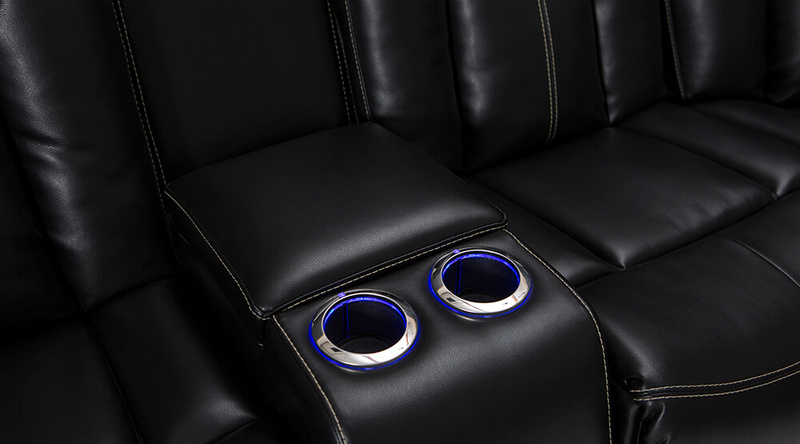 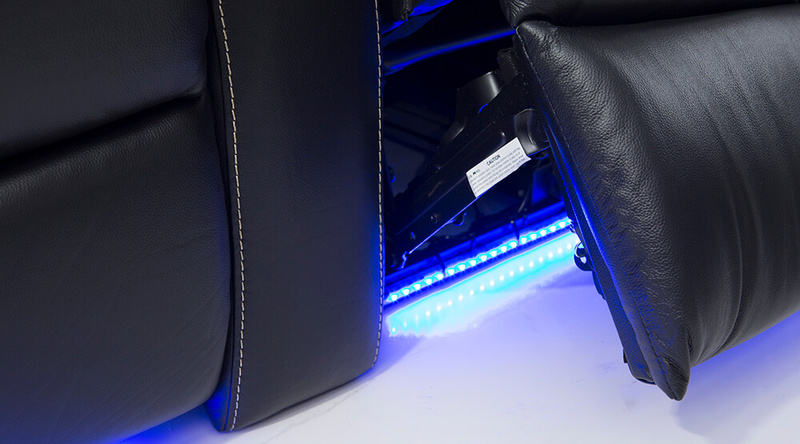 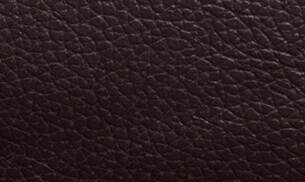 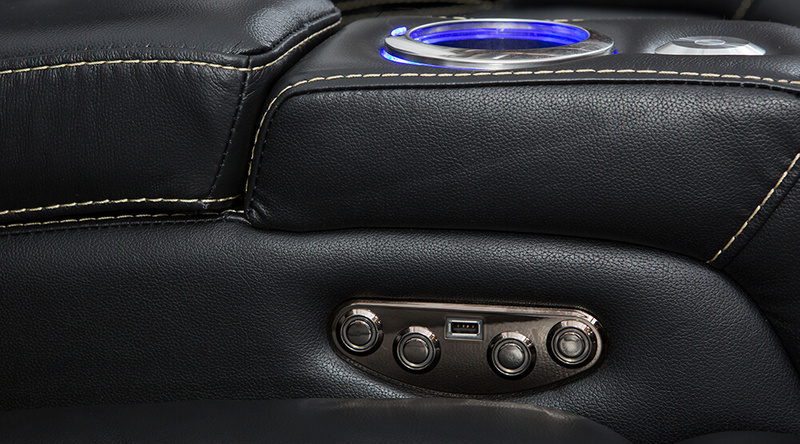 The headrest folds up to reveal two lights that can be turned on and off to locate any necessities.